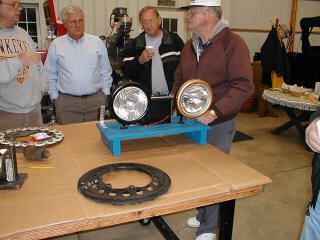 The March meeting was held at Jack Putnam's shop in Bluffton. Bob Torbet led the meeting with 12 members and guests in attendance. The treasurer's report was read and approved. The members discussd the need for a monthly tech meeting this year as a way to keep the interest going in the club. 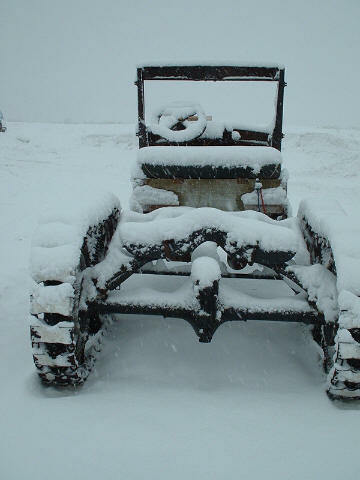 The joy of owning a Model T is in the fun of driving a T. The next tech meeting was set for 9:00 am 3/29/03 at Bob Hollister's home near Arlington. He said that he'd have breakfast ready for anyone who showed up to help. The project would be an engine swap between his two coupes. The idea of some summer touring was brought up by Bob Torbet. There are a lot of bicentennial events planned for around the state this summer and he thought that it would be a good opportunity to drive the T's. We could drive the T's to the event, park them in a prominent spot near the event, and promote Model T's as we enjoy some good old Ohio festival fun. We also batted around the idea of a trip up to one of the islands as a possible tour. I'm sure that we will be looking at this idea further at the April meeting; so, come with some idea on likely destinations. We continue to talk about sponsoring a swap meet next year to help add a little visibility to the club. We will need to find a free weekend in the schedule of prospective vendors if we at all hope to be successful. To that end, members have "volunteered" to attend existing swap meets and talk with vendors about any openings in their schedules that would allow them to fit us in. The MTFCI application has been sent in and we are awaiting a reply on our status. Between the last meeting and now, the Ford Motor Company has contacted me about our club helping out with a part of the Ford 100 Year Anniversary Celebration that is to be held in Toledo, Ohio. They are celebrating the Anniversary in 100 different cities around the country and will be in Toledo on one weekend during May. An exact date has not been set at this time; although, they have been informed about a preference for any weekend except Mother's Day weekend. 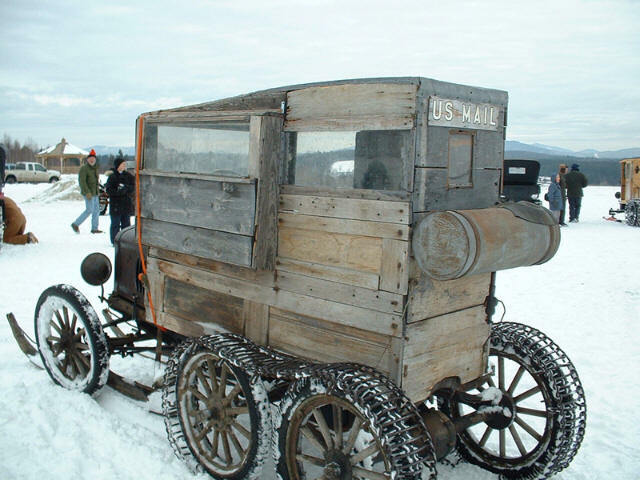 They are, of course, interested in seeing our cars; but, would also be interested in any type of display that we could come up with to show the history of the Ford Motor Company. 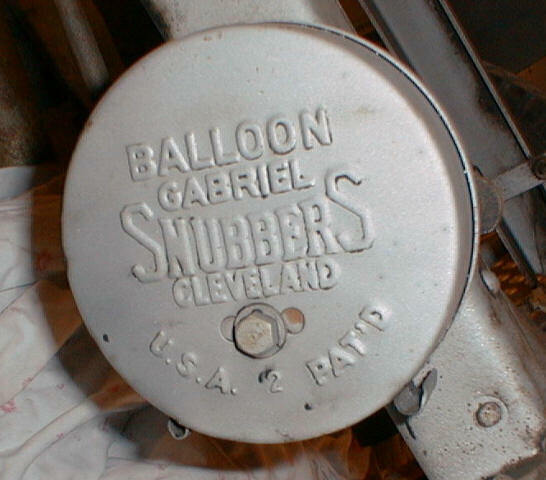 Another one of the attempts to make the Model T ride a little smoother was a spring loaded strap known as "Snubbers". They worked on the same principle as today's seat belts or a retractable airline. 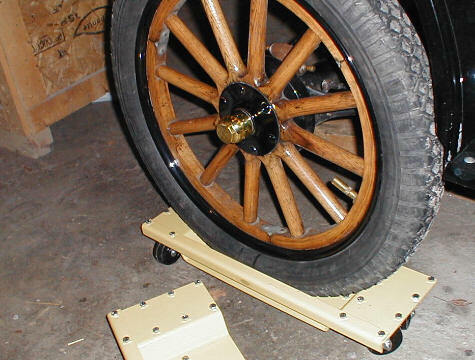 They offered resistance to quick jolts of the Model T frame to the wheel assembly. There is a webbed strap that goes from the "Snubber" to the axel housing much like a retractable tape measure. 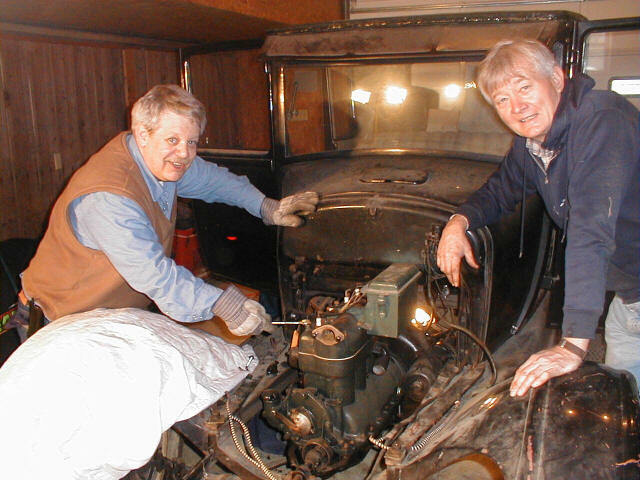 The one pictured to the left is on a Model T that Joe & Bernie Bell of Tiffin are restoring. 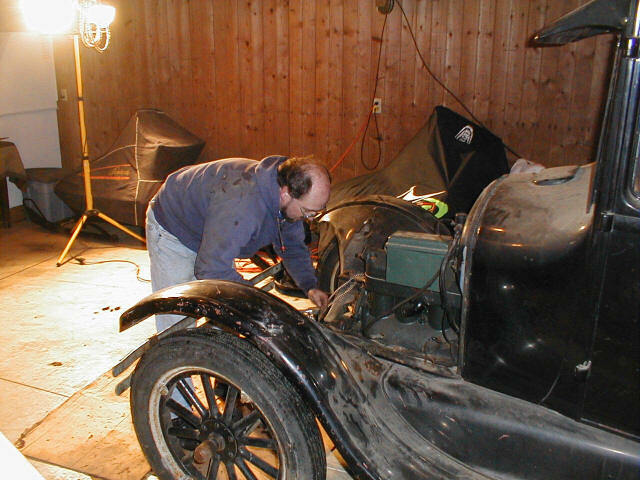 The car is a 1924 - 3 door sedan that Bernie received in payment for repainting another Model T for a friend. 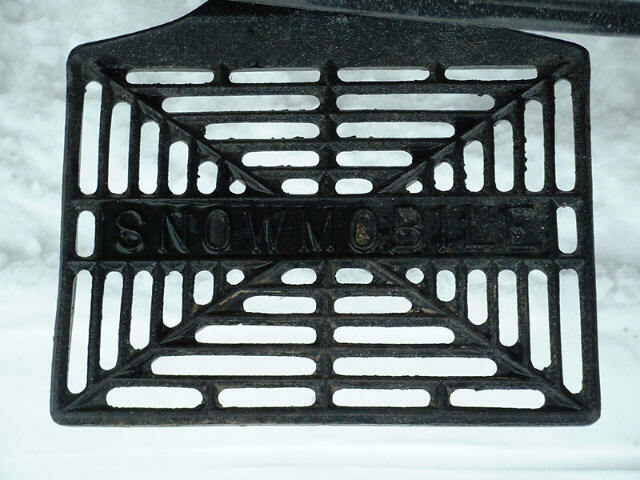 Bob Torbet was kind enough to give us a glimpse of true Snowmobiling. 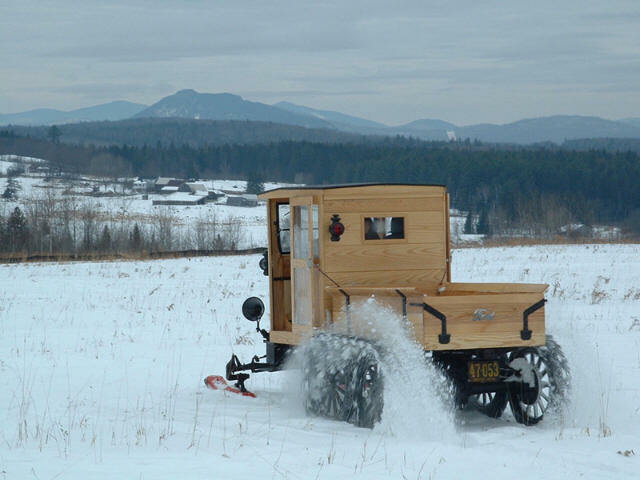 I will work with Bob in the coming year to produce an article on Model T Snowmobiles for next November of December's issue of the Front Seat News. Any manifold that has been installed without glands is likely to have developed a warp. 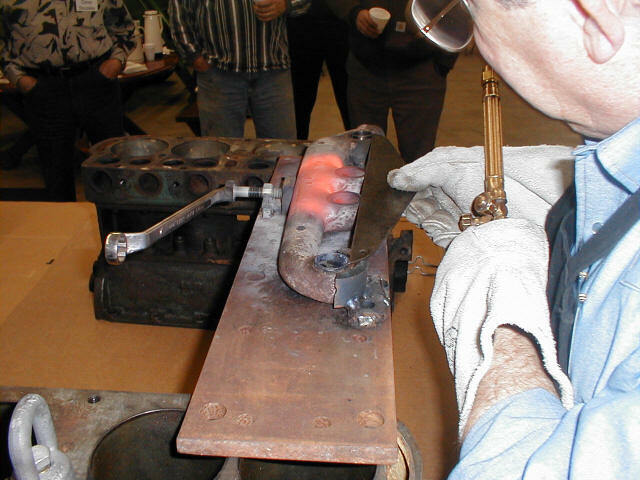 At our last meeting we were treated to a demonstration that roughly follows the MTFCA standard procedure for staightening an exhaust manifold. 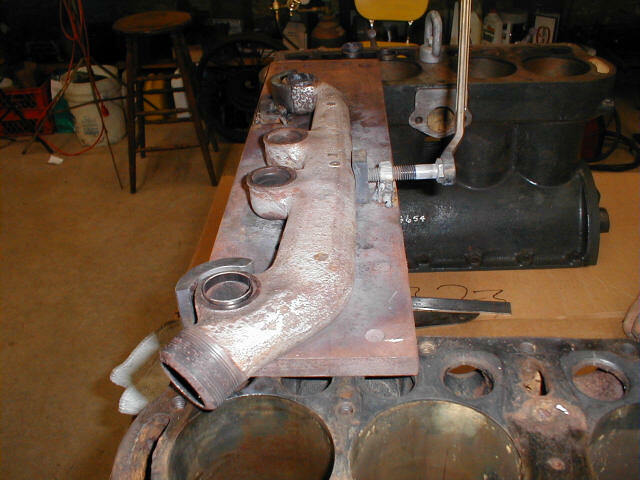 The warped manifold is first placed in a fixture that holds the first port in place and the fourth port supported along the bottom, but allowed to float on the outside. A flat adjustable one inch piece of steel is placed against the top area opposite the second and third ports. 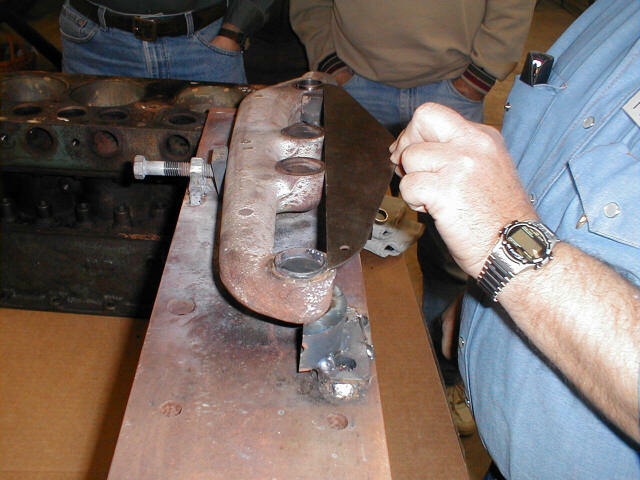 A straight edge is used to check the amount of warp that exists in the manifold. The idea is to get the bottom edge of all of the ports to align with the straight edge. A wrench is attached to a bolt that applies pressure to the one inch piece of metal on the fixture. this bolt will be used to apply pressure as the manifold is heated up. 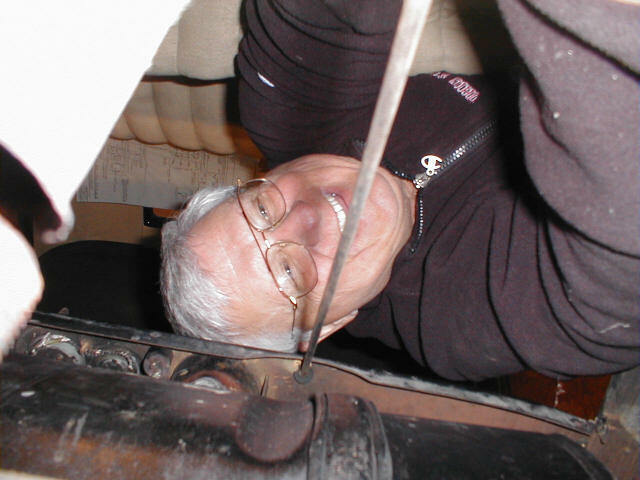 The wrench will repeatedly be moved throughout the operation by an assistant wearing heat resistant gloves; although, the assistant will never apply any direct pressure to the bolt. 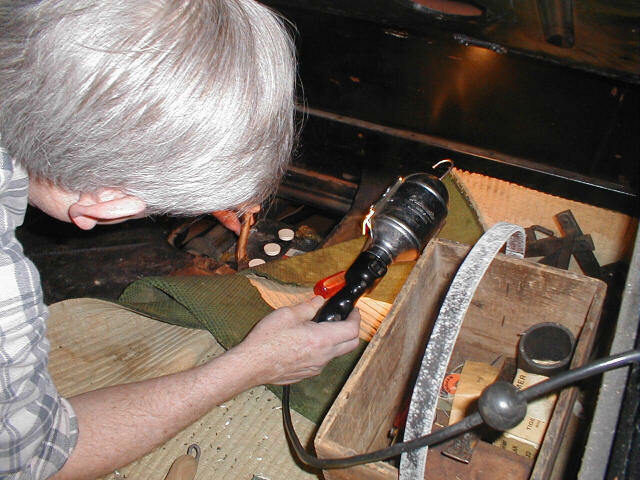 All of the pressure comes from the weight of the wrench moving from about 1 o'clock to 3 o'clock as the manifold is heated. The manifold is now heated as evenly as possible. Care must be taken to keep from overheating just one area, as, this could cause undue stress withing the metal. 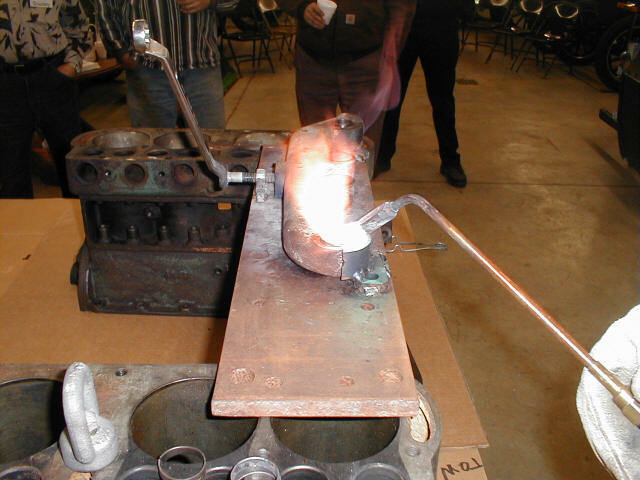 These photos show the heating process and the final result. It is an amazing demonstration to watch as we all got a chance to see the wrench mysteriously move itself as the manifold was heated. 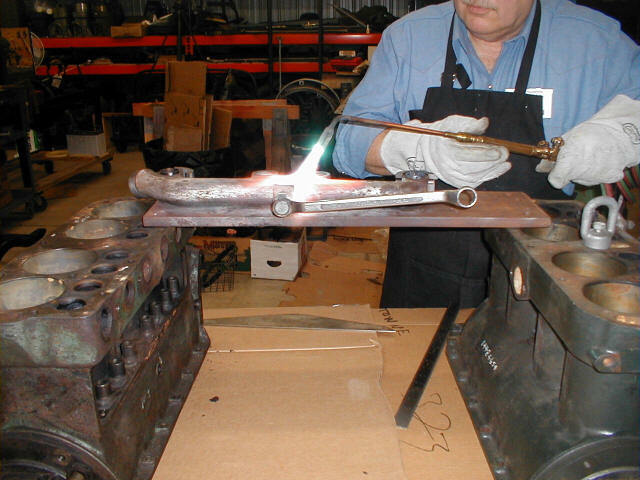 Jack did warn us that there can be possible small explosions, as built up residue ignites in the manifold and iron impurities pop out of the casting. 1. 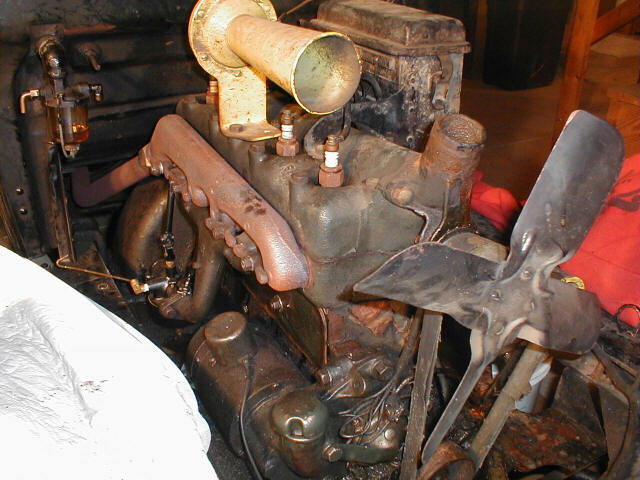 Remove the engine from Coupe 1 and set it on an engine stand for future repairs. 2. Wheel Coupe 1 out and wheel Coupe 2 in. 3. Remove the engine from Coupe 2. 4. 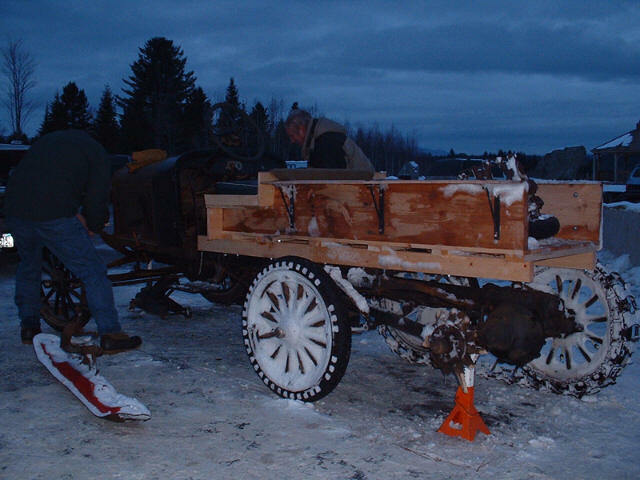 Wheel Coupe 2 out and wheel Coupe 1 in. 5. Place Coupe 2's engine in Coupe 1 and hook everything up. Jack Putnam and Bob Hollister have to laugh about a novice mistake we all make. No one on this crew will tell what it was!! 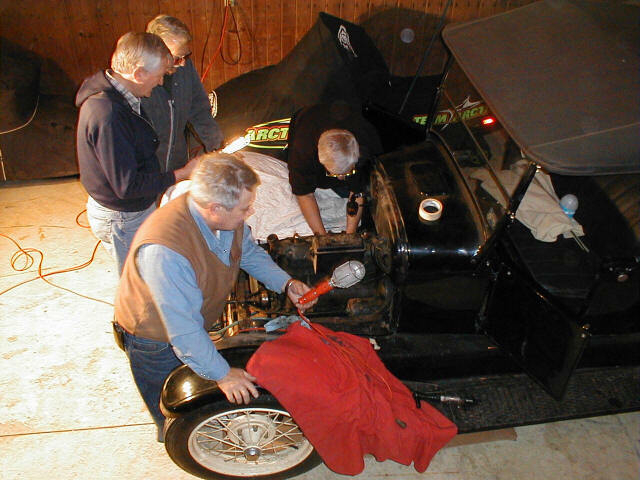 Your's truely replaces the headlight wiring harness. Most of the time I'm under the car.